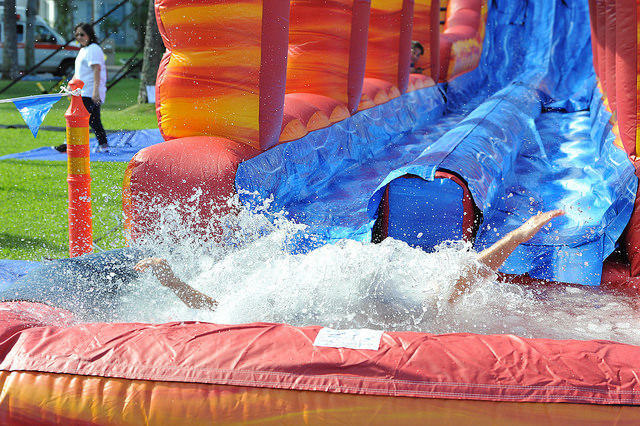 This week on Helping Hand, it's the Polar Plunge from Special Olympics Hawaii, as Director of Development Tracey Bender joins HPR All Things Considered Host Dave Lawrence to discuss their April 14th fundraiser at Waterfront Plaza in Honolulu. People pledge to raise at least $100 and get to plunge down a 95' long, 36' high inflatable slide into a pool of icy water. There are lots of ways to support this organization that provides sports training and participation to people with intellectual disabilities, including making donations, being on Unified Sports teams alongside their athletes, coaching, being a volunteer helping at the office or events, or becoming a sponsor. Helping Hand airs Fridays as part of the afternoon drive broadcast of NPR's All Things Considered on HPR1 stations statewide and puts the spotlight on organizations, topics or events that support those with disabilities and the most vulnerable. All the Helping Hand segments are archived here. Email: events@sohawaii.org to sign up for the Polar Plunge, or volunteers@sohawaii.org to learn about volunteer opportunities or offer other support. Find them on Instagram, Twitter, Facebook, and Youtube.